Today was a beautiful late Spring day. The temperature was 75 degrees. People were out in droves in downtown Philly. 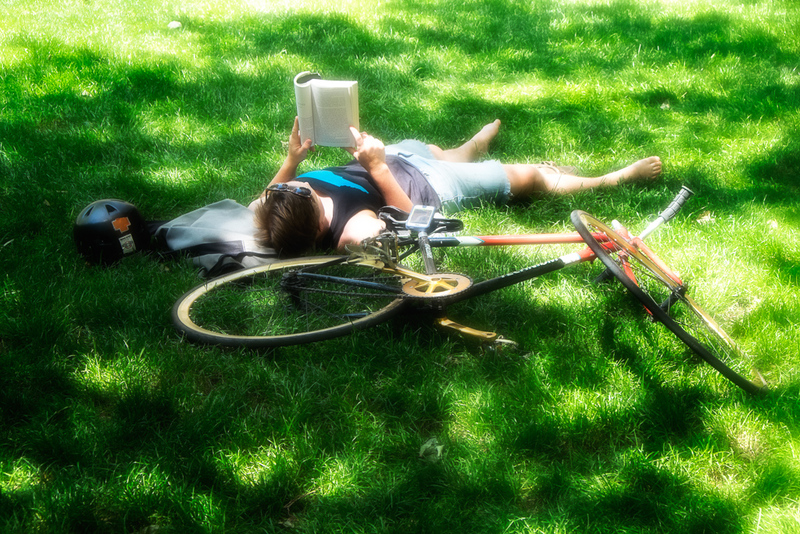 The lawns of Rittenhouse Square were covered with people laying in the shade enjoying the beautiful day. I used NIK Color Efex Pro’s Classic Soft Focus and Glamor Glow filters to create a slight soft dreamy look for the Lazy Day. This entry was posted in Along the Street, People and tagged Philadelphia on June 3, 2014 by kgrafphoto.